Due to the nature of the system that we use to deploy our courses, certain technical glitches might be experienced from time to time. Should you encounter any issues while using the ZooCollege site, please contact us via this form and anticipate a reply on your mailbox. Full Name * Email Field * Message *? 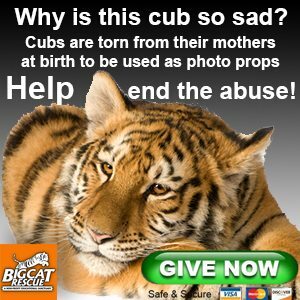 I agree for my personal data, provided via form submission, to be processed by Big Cat Rescue, for the purpose of capturing info of users who send messages and for proper response to these messages, for the time of 365 days as per the GDPR. Zoo College is the only online, virtual training center, where you can test your skills against real life animal care challenges. The lessons you will learn have been tested and improved over more than 20 years in dealing with some of the most dangerous and majestic carnivores on the planet.